Looking to give your kitchen a facelift? An easy and affordable way to take that kitchen from drab to fab is to update your backsplash. You can add a pop of color or some texture and streamline your look without breaking the bank. Here are some of our favorite ways to make a statement with a backsplash! Glass is a unique way to give your kitchen a modern and streamlined look. It can be bold or it can be subtle—it’s really up to you and the look you’re going for. 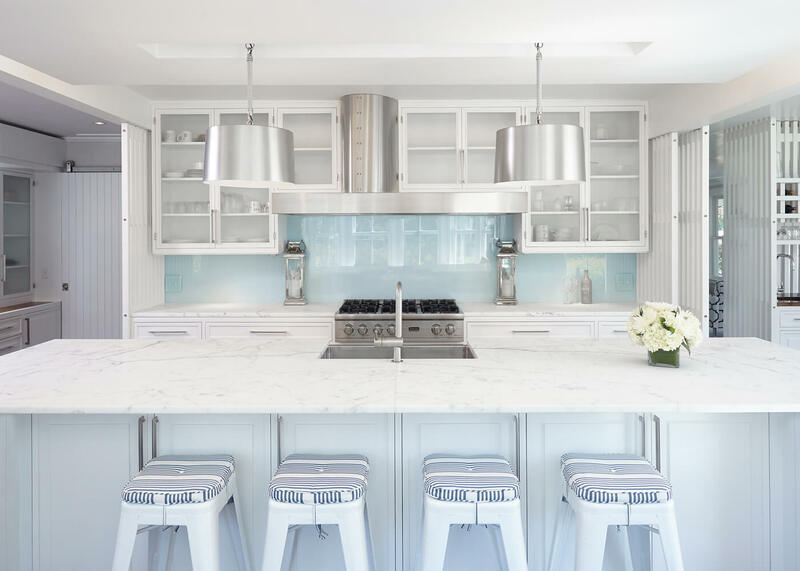 The best part is the wall it’s mounted on can be painted to complement the color of your kitchen, so the sky is the limit when it comes to color. Since it’s naturally reflective, glass also makes your kitchen feel more spacious. And, of course, it’s easy to clean. Subway tile is a classic look, and incredibly versatile, too, since it creates a neutral background for accent pieces. You can find large or small tiles, and they can be positioned horizontally, vertically, or even diagonally. Not to mention, you can pick any color grout to complement or contrast with your tile. Bring a little natural beauty inside with stunning stone tile. This type of backsplash has nearly unlimited looks. You can go for a textured look with small stone tile, or a very smooth and streamlined look with granite or marble. 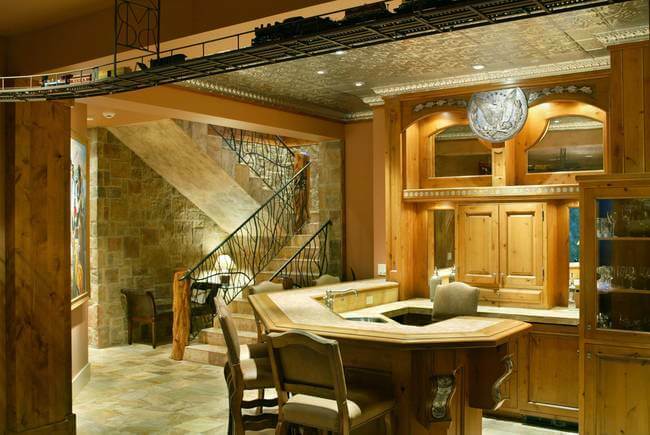 Whatever look you decide on, it can be done with stone! Are you in your element with a super modern look? Well, a stainless steel backsplash may be just what you’re looking for. Stainless steel is durable as well as easy to clean, which makes it a backsplash superstar. 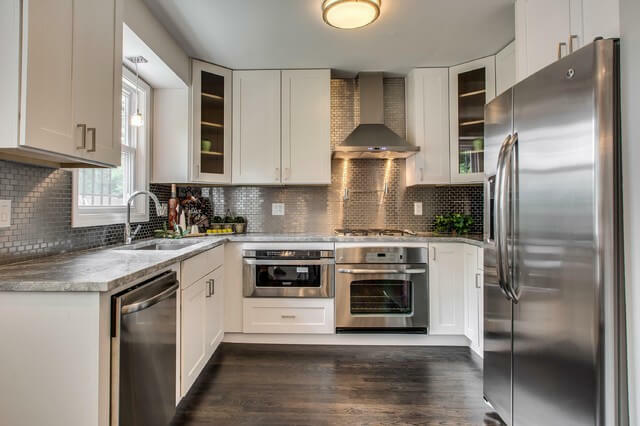 Stainless steel backsplashes also come in a variety of options, from small interlocking tiles to large sheets, to panels embossed with designs. 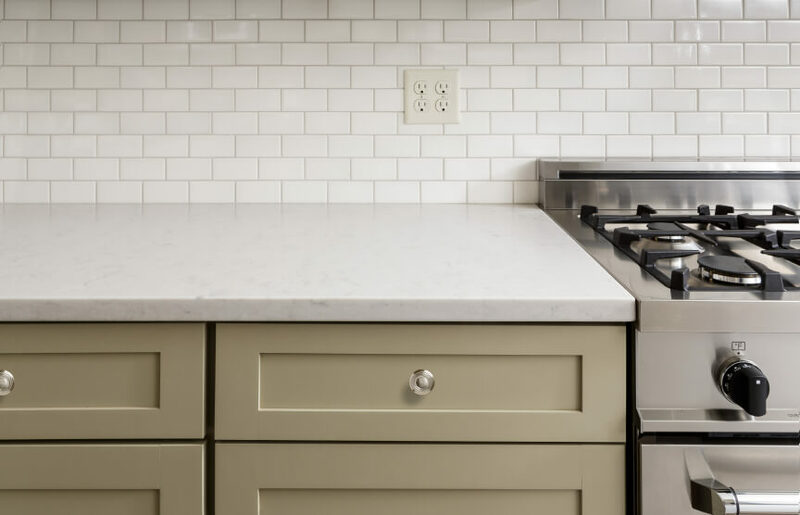 This backsplash material rounds out any kitchen that counts on simplicity as a design focal point. Backsplashes no longer just protect walls from spills and splatters. Today backsplashes are a statement piece and a focal point in many kitchens. So, what do you want your backsplash to say?